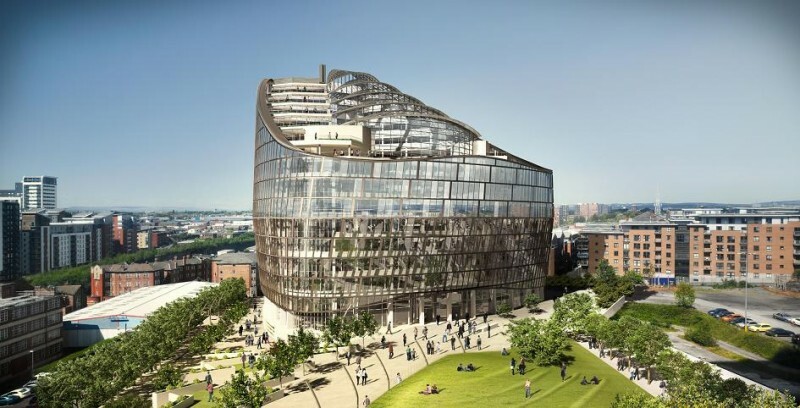 Work has commenced on site of the Co-operative Groups new Manchester head office following the completion of groundworks by contractors BAM and architects 3DReid. The building marks the first phase in a wider masterplan for the 20 acre site, which aims to bring new office, retail, residential and leisure facilities to the area. It is due to open in June 2012. Mike Mitchell, lead architect on the project, is proud of the sustainable credentials of his creation which meets the requirements for a BREEAM ‘outstanding’ rating, he said: “As I understand it there isn’t another office building in the country being built to this standard. 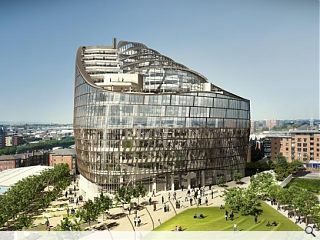 I firmly believe this will set a new benchmark in sustainable office design in the United Kingdom. 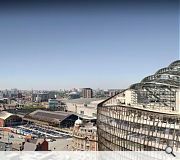 The 15 storey, 325,000sq/ft building is scheduled to complete in 2012 but construction progress can be tracked in real time courtesy of a strategically positioned webcam.